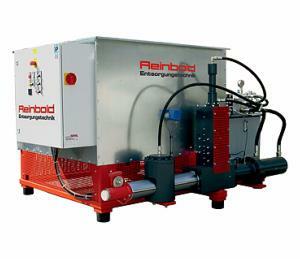 Reinbold company from Germany have produced a wide range of briquette presses to suit many different requirements. 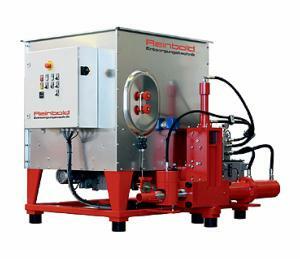 The Compact & Power-packedRB20 to RB 80 SV series, being developed for small to medium sized companies where space is a premium. 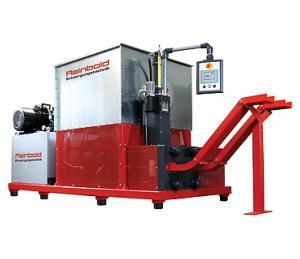 The High-poweredperformance briquetter RB 100 to 300 S Flexibelserice, which has the name suggests these come with feature packed eqiupment to deal with most materials. 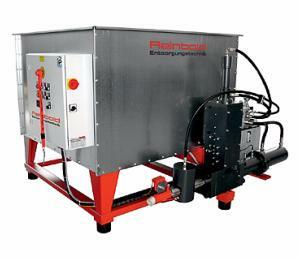 Finally the Powerful- Squared briquetter RB 400 S. Reliable and efficient briquetting technology to produce square briquettes for volume reduction and energy recovery. Many materials can be compressed, such as wood chips from hard or soft wood, planed wood, sawdust, and sanding dust in combination with other materials, as well as paper, straw, styrofoam. As with all our briquette range, the material should not exceed 18% moisture content.